We have had several Bargain Wines of the Week from Trader Joe’s including a couple of excellent finds for under $10. 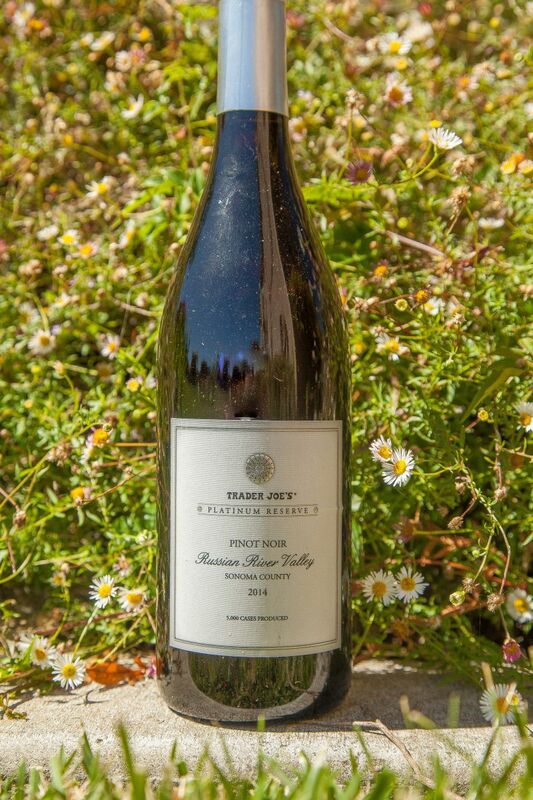 Therefore, we had high hopes for Trader Joe’s 2014 Platinum Reserve Russian River Pinot Noir, which sells for $15. Russian River flows for one hundred and ten miles from Mendocino County into Sonoma County before emptying into the ocean at Bodega Bay, where Hitchcock’s classic movie, The Birds was shot. The Russian River Valley AVA lies alongside its Sonoma County stretch. The cool climate of this region is reflected in the varietals most frequently associated with the AVA; Chardonnay and Pinot Noir. The low-intensity nose was of leather and cherry. The lack of punch from the nose was reflected in the mouth. The wine was thin with tannins rather than fruit providing the first impression. A thin sliver of fruit emerged mid-palate as a mix of dark berries and plum. The finish lingered longer than expected given the lack of initial flavours. There are wines that we tip down the sink after a few mouthfuls. 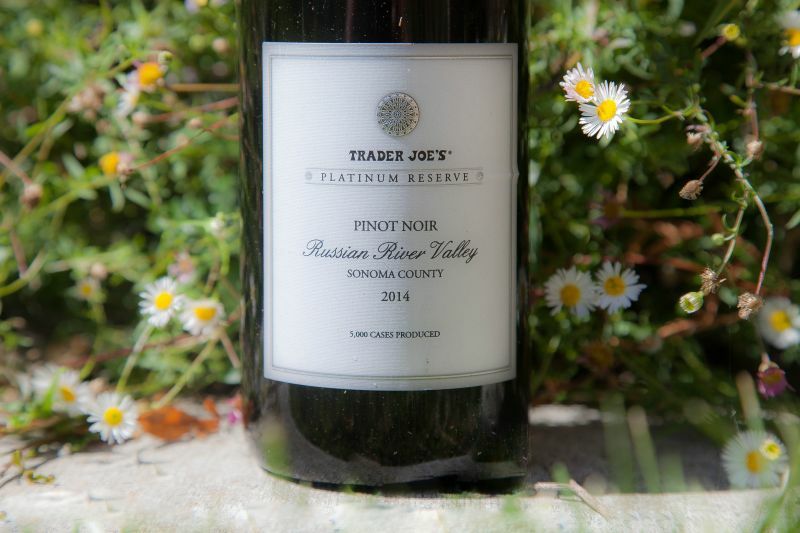 This Trader Joe’s 2014 Platinum Reserve Russian River Pinot Noir not one of those wines. There are bargain wines where we finish a glass or two, but the bottle lies unfinished. California Girl would place it in this category. I had a couple of glasses and returned to the bottle the following night, but only because it was open. This is not a wine that we shall purchase again, nor would we recommend it.